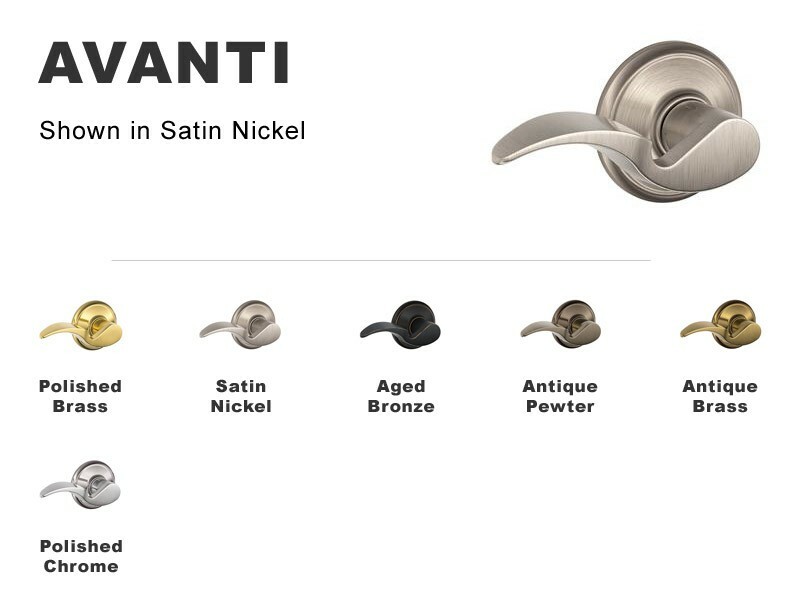 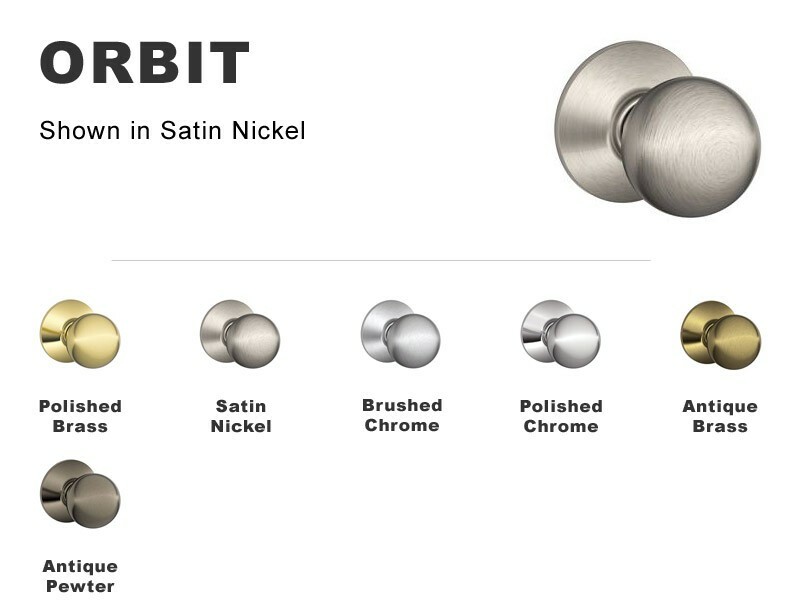 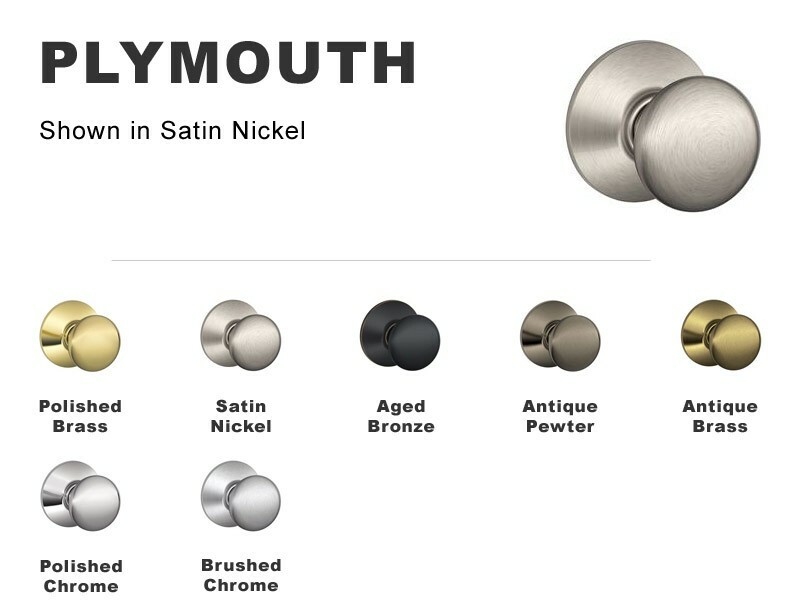 As one of the largest door hardware brands, Schlage F-Series door knobs are the most trusted for durability. 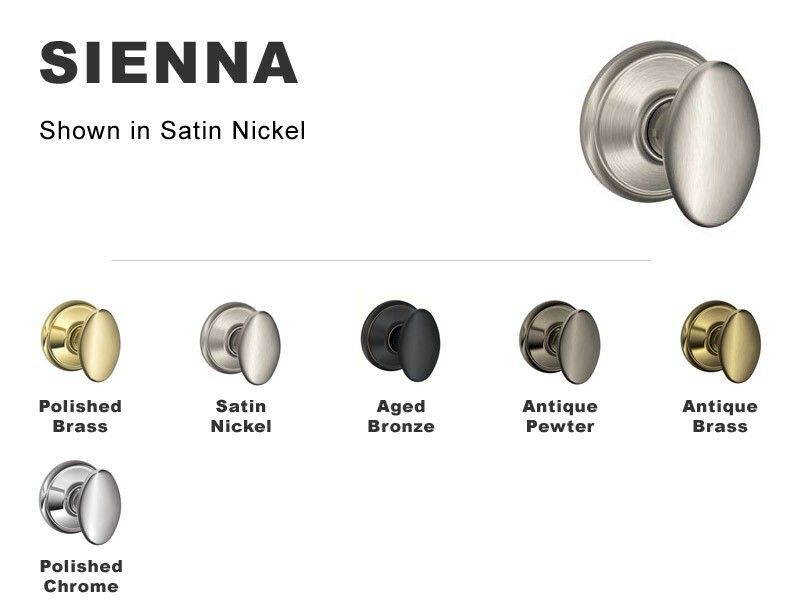 Each Schlage F-Series knob collection comes in privacy, keyed entry, passage, and dummy options. 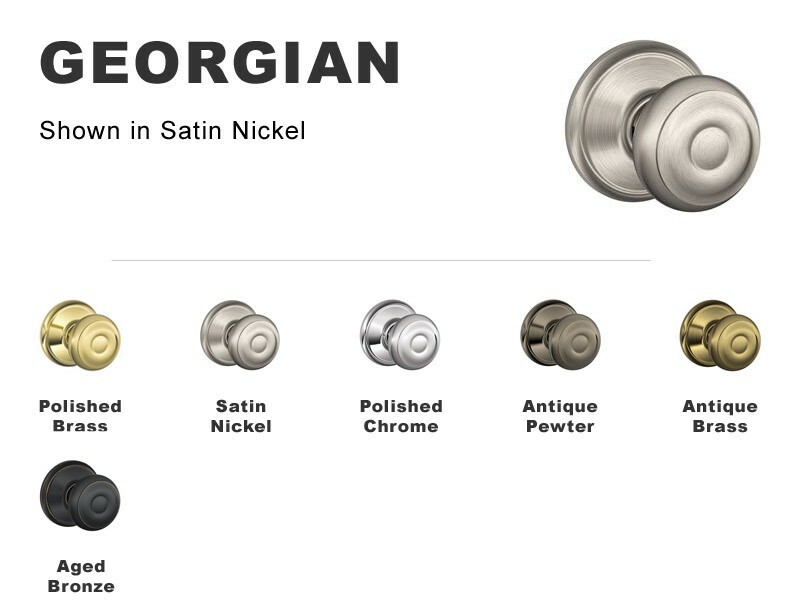 You can feel the difference with a smooth latch and a strong metal Schlage door knob. 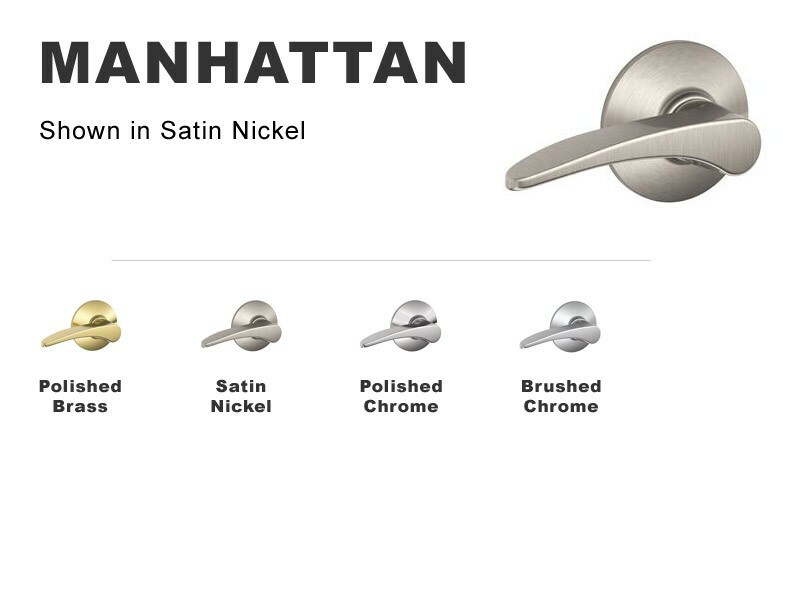 Whether it’s for a home or business, security and style have always gone hand-in-hand with Schlage F-Series door levers. 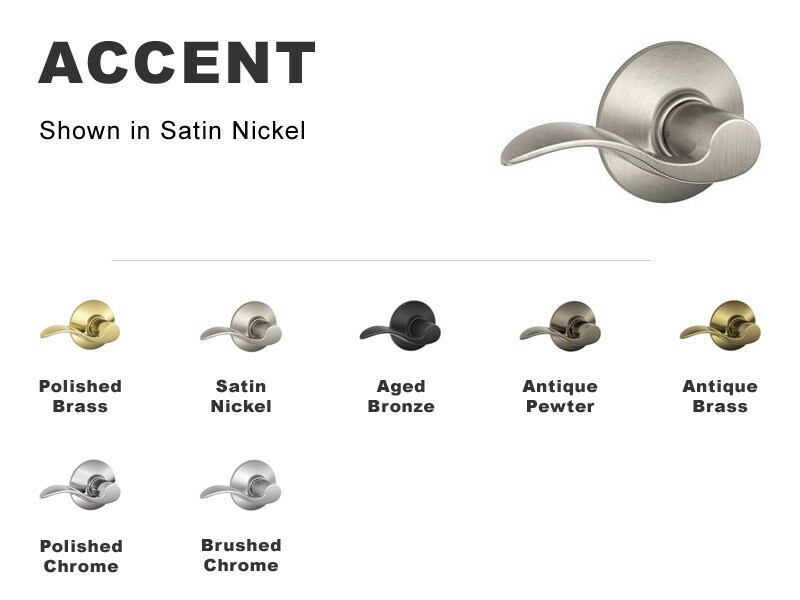 Schlage levers can completely refresh the look of a home while providing a boost in design and decor. 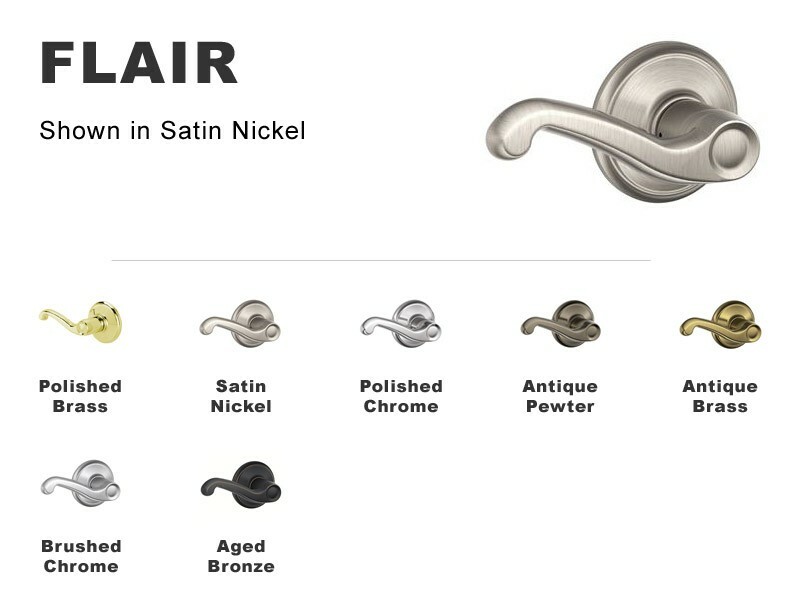 Schlage F-Series levers are available in keyed entry, passage, privacy, and single dummy applications.